CITY OF MALOLOS, Bulacan — Police seized some 1.5 kilos of shabu, with an estimated market value of PHP10 million, and arrested three drug suspects following the implementation of a search warrant in Barangay Maasim, San Ildefonso, this province Wednesday afternoon. Col. Chito G. Bersaluna, Bulacan police provincial director, identified the arrested suspects as Duane Aquino, 41; his live-in partner, Kristine Oliveros, 25, both residents of E. Viudez St., Barangay Maasim, San Ildefonso; and Rey Allan Cruz, 38, of Barangay Baritan, Malabon City. Based on a report submitted by Lt. Col. Julio S. Lizardo, San Ildefonso chief of police, a search warrant was issued by Judge Sita Jose of Regional Trial Court Branch 16, Malolos City against Aquino for violation of Republic Act 9165 or the Comprehensive Dangerous Drugs Act of 2002. Aquino is on the drug watch list of the San Ildefonso Municipal Police Station. 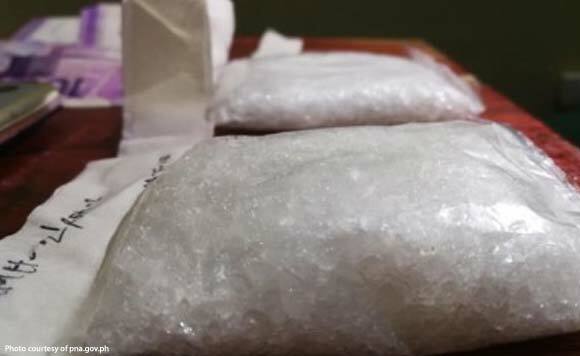 The implementation of the search warrant, Bersaluna said, resulted in the discovery and seizure of one big plastic bag containing shabu, five plastic ice bags containing shabu, a heat-sealed plastic sachet containing shabu, and other drug paraphernalia.